The dynamic of Middle Tennessee is changing, and WHP is here to help. WHPI has the Crew and the Coordination to get your project done on time, and on budget. Don’t let a sub par contractor ruin your day with mysterious up charges and less than spectacular performance. Walter Hill Plumbing, Inc. strives to stay current with technology. You won’t be asked to fax a document when you can email or text something in. Our Office Workers utilize software designed specifically for plumbing subcontract work to help serve you better. Our field managers are all equipped with mobile phones & tablets, and email they check in the field. You don’t have to worry if a piece of paper made its way through 5 different peoples hands. You won’t be left in the cold should an accident occur down the line. WHP has the proper insurance to handle your job and our work is backed by an ironclad 1 year warranty from the move in date of your tenant. Additional terms may be negotiated. Apartment complexes are springing up, let WHPI do the plumbing in your new build. It is no wonder everyone is building Apartments in Middle Tennessee lately, Rutherford, Spring Hill, Davidson, Williamson and Wilson counties are exploding in population growth! 15 years ago it was the definition of small town USA. Everyone knew each other, and the economy was great with small businesses abound. This, coupled with Murfreesboro being a college town and bad economic times across the United States in the late 2000’s, forcing college grads to stay local with nowhere to go, Rutherford County literally exploded with new life. Rutherford County continues to experience tremendous growth, and has been among the fastest growing counties in Tennessee for the past several years. 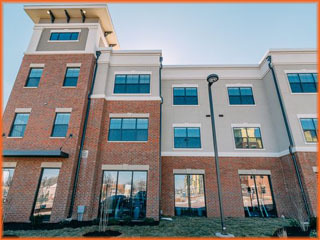 With quick Interstate connects to I-24 and 840, Middle Tennessee residents enjoy easy commutes to Nashville, Brentwood, Franklin, Lebanon, Smyrna, Murfreesboro and Mt. Juliet with ease, so inner city workers can enjoy a bit of the suburban life with a short commute to work by living in Rutherford County, or inner city dwellers can escape the hustle and bustle with a short drive out. This has caused a huge influx of big businesses to open shop in Rutherford and nearby areas.